Before I start anything, I want to tell you that Logan is a very good movie. I won’t give you spoilers but it is beautiful (and M18 for the violent gore and language). I wanted to watch it before I did this post because everyone else (Red Dot Diva, HereBeGeeks and even Mothership?!) wrote about it. 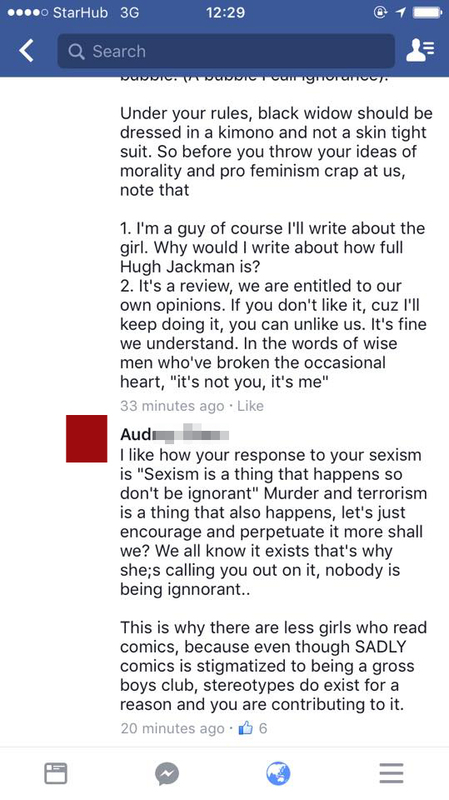 The it, that was Absolute Comic’s review on wanting Laura to be older, fuller, sexier. 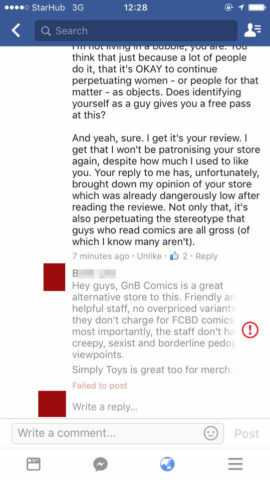 This is the tale of someone in that company being an utter dolt about social media because right now, the post has been deleted but it has sent ripples through the geek/pop culture community who actually buys stuff from that shop. RDD and HBG pretty much tells you what happened and WHY it is bad. Let’s forget about Mothership, they’re just in it for clicks with that vagueish fact article. I’m just gonna tell you why that review pissed off a heck load of people. SCREENSHOTS from various people by the way. 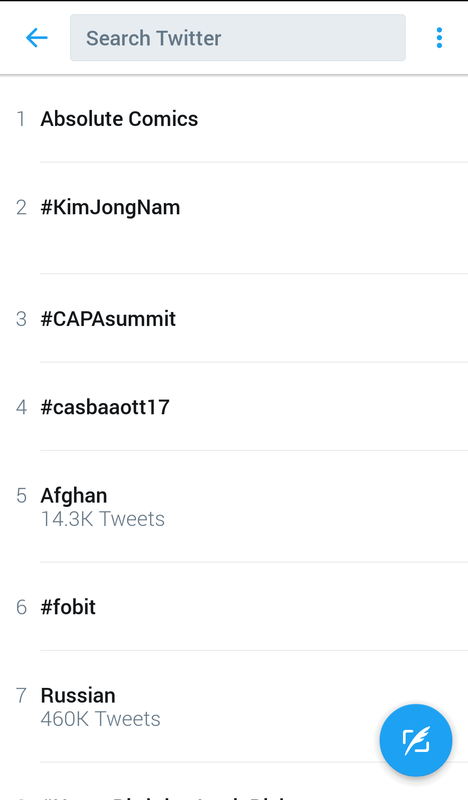 On March 2 Absolute Comics trended on twitter. This was the first time a local comic store in Singapore trended on twitter and it was because of their movie ‘review’. 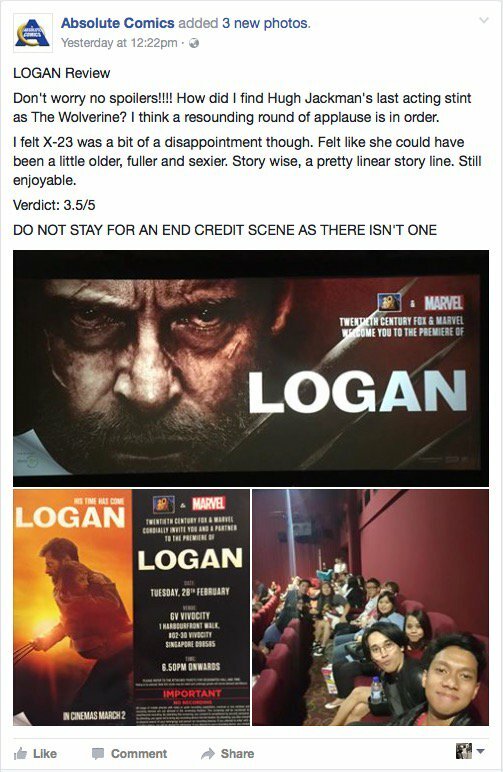 If you can’t read it, the line that irked people was “I felt X-23 was a bit of a disappointment though. Felt like she could have been a little older, fuller and sexier. Story wise, a pretty linear story line. Still enjoyable”. Well, I finally watched the movie. I hoped to heck it was a linear story line, because duh. It had a beginning, middle and end. And after conferring with everyone who had finally watched the movie… Yes. IT IS A STUPID REVIEW. 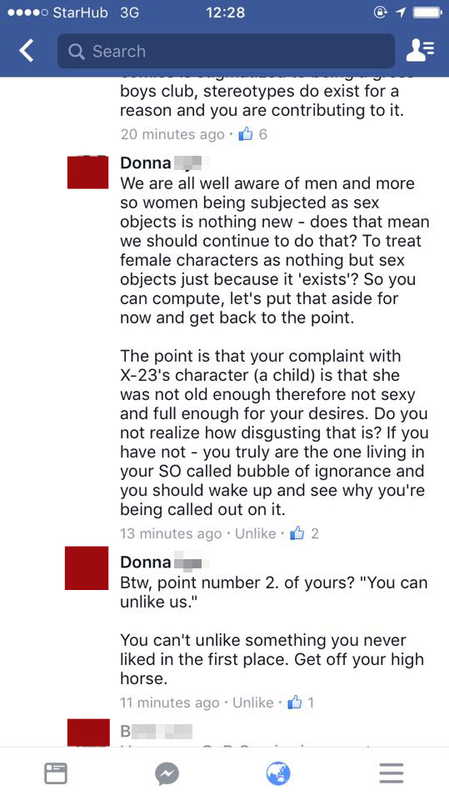 Because STORY WISE, if X-23 was ‘older, fuller and sexier’, there would be no point to the actual story. Did the reviewer even watch it the movie? This was Sanzochan’s reply. Without her reply, it wouldn’t have gained traction and subsequently leading the store to twitter trend. And then, this was James’ reply. 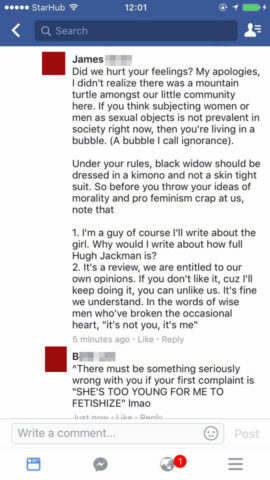 We assume that he was the one posting the review under the company page. 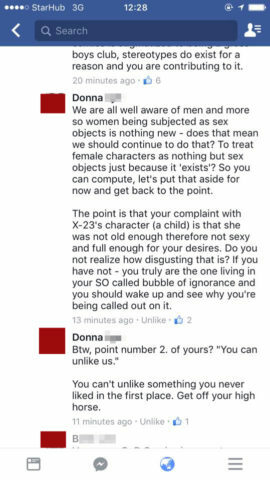 Sure, you’re a guy but if you actually watched the movie, there’s no sense in having a sexier, older, fuller Laura because of the actual plot. She is a child. She’s supposed to be a child. You age her up, what is the whole plot point of the story. Also, it sounds pervy as heck especially when it doesn’t make sense plot wise and wanting the character to be sexier for the heck of it. Also under our ‘rules’, Black Widow should actually be wearing freaking armour or a civilian outfit. Not a kimono. 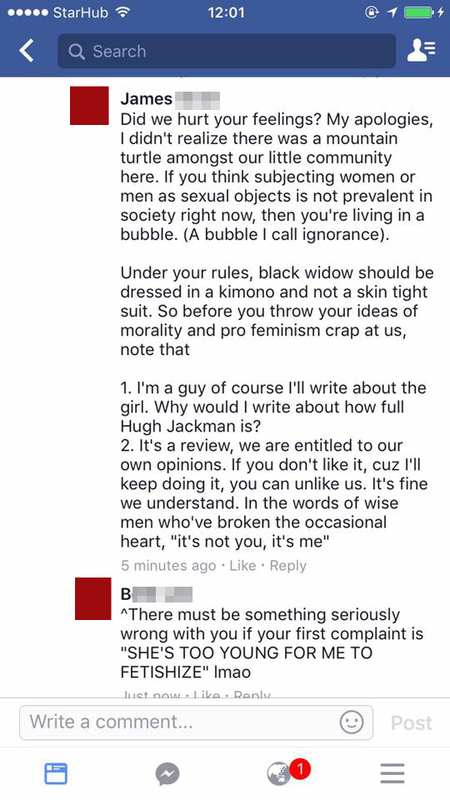 Dude, do you ever read your own comics? She’s a freaking spy, why would she be wearing a kimono? And we would understand her skin tight suit because hello, she has missions and it’s silly to snag material on things. Yes ok. We’ll unlike you. On point number 2 however, it seems that James is taking ownership of the post on Absolute Comics, showing that he is Public Relations point of their facebook. I didn’t realize there was a mountain turtle out there who didn’t know how the internet or social media management works and he might be living in a bubble. 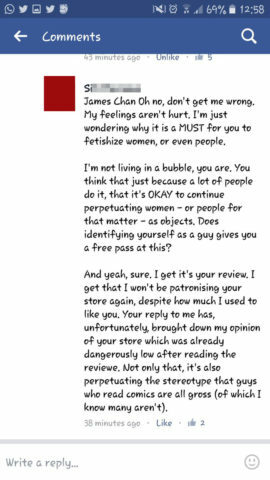 I would like to point out her reply which said ‘…unfortunately, brought down my opinion of your store which was already dangerously low…’. Alright, for those not in the ‘comics’ scene in Singapore. There is a background to this. In the formation of Absolute Comics, there had been rumours and stories about theft, stealing customers and whatnot. WHICH is not confirmed with proof because it was way, way back then. It was soon forgotten by newer customers or people new to the scene. However as of late, their prices for comics had gone up compared to other stores and during Free Comic Book Day, the comics specially made for that day are only available for purchase. To note, for stores it is NOT free for them to bring in but all other comics and books stores actually celebrating FCBD had in one way or form given it free to people (eg. members get X number of free comics, non-members get Y number. Or even be a member of K bookstore and get the books free). Edit: Got notified that their FCBD lately IS free. And for comics backing board prices up. Some say comics are higher some say same high price. Compare as you will. The only ‘upside’ for the customers was that the store was at Plaza Singapura and it is very convenient to get to via Dhoby Ghaut MRT. Plus, they do sell interesting merch unavailable at some other comic stores. I’m just posting the replies he got here since they’re good and they’re obviously all delete since the actual post is gone. 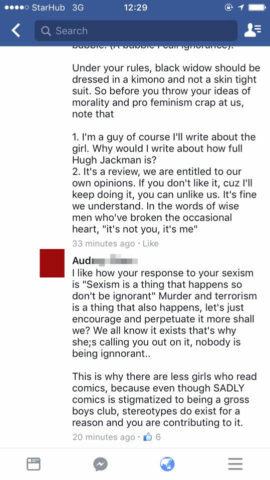 At this point, a lot of people were calling him out and Absolute Comics did NOT put out a public apology to say that James did NOT represent their views. If they had just apologized and did that, people would have been appeased and everything would have died down without crashing and burning. Instead, they started deleting comments which made everyone talk about it more. The thing with social media is that, you don’t delete comments. You don’t delete it without saying why. It just makes everyone tell each other that your comments are being deleted… And that makes everyone kaypoh. 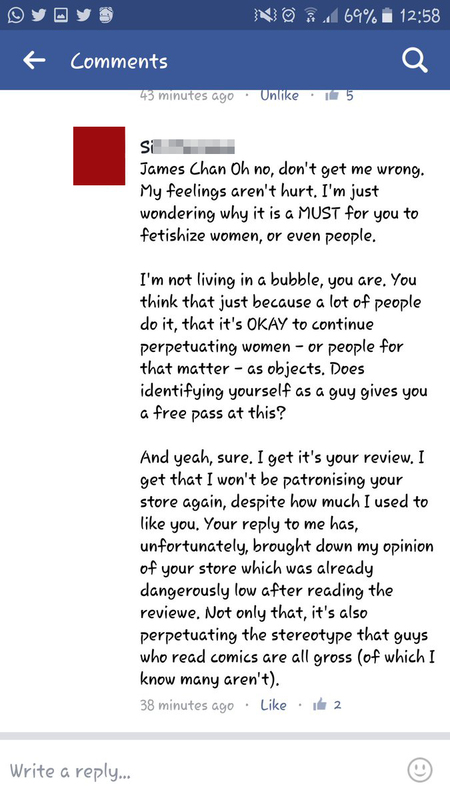 The whole review is deleted now but people won’t forget it. 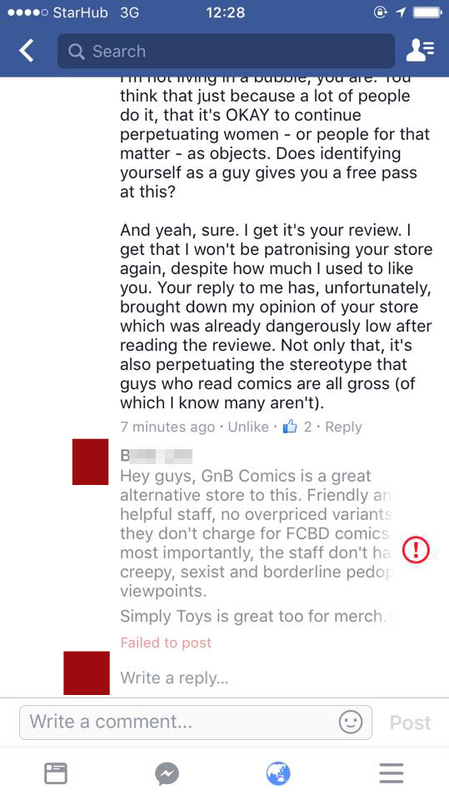 Absolute Comics has rubbish PR. They didn’t apologize nor did they distance themselves from James’ review. AC has a bad reputation and it is going down. The comic reading community is not that large in Singapore. There are other stores to buy comics from. So c’est la vie. I for one am not buying from Absolute Comics since I visit another comic shop that might be great and best (ok that’s a rubbish hint) and buy merch from another specialized store that is just simply about toys. Next Next post: Surprise! It’s Lazada’s 3rd Birthday!